The collection of the Library has a particular focus on Panchayati Raj, decentralised planning, poverty alleviation, rural development, urban development, gender in governance etc. The library has a collection of over 10,000 volumes of books and over 200 journals focussing on these thrust areas. Efforts are on the anvil to digitalise the library and to develop it as a full-fledged information centre on local governance, with state of the art facilities like computer and Internet. The development of the Library is facilitated by the Library Monitoring Committee (LMC) and Library Advisory Committee(LAC). 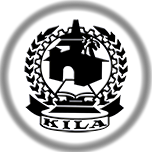 KILA Library & Information Division is the centre for collection, organization and dissemination of information, data and knowledge on decentralisation and local governance. It aims to provide right information, to the right users, at the right time, through an array of direct or indirect information services. The precise objective of the library is to acquire all relevant data, information and documents pertaining to the academic activities of the Institute. KILA Library holds books, reports, journals and other documents in print or digital form.